Thank again for your loving support for the people of Nepal. 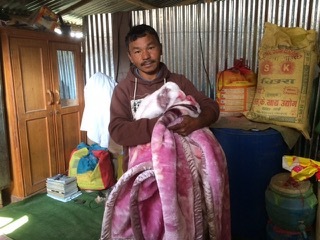 Most of the money has been transformed into warm blankets and a solar powered system for Dash lal's home. 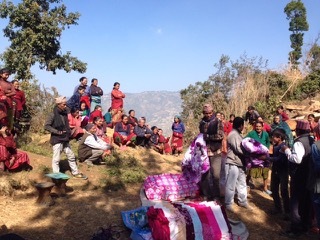 Many donations were used to provide blankets. 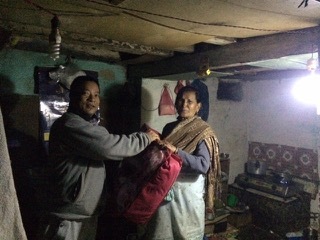 Those who specified solar helped provide Dash lal's family with this new system. Everyone was so grateful for your help. This winter was particularly cold for those in their new metal shelters. Dash lal went in a jeep with several other people (some from the TV station involved in charity work) to this remote village to deliver blankets. 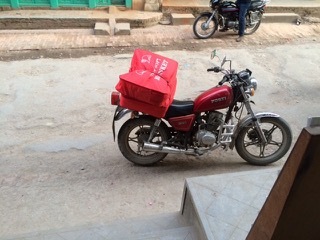 He said it was about 4 hours from Kathmandu by jeep and that they had to push the jeep through the mud part of the way. The village is beyond a forest which keeps it secluded and isolated from help. 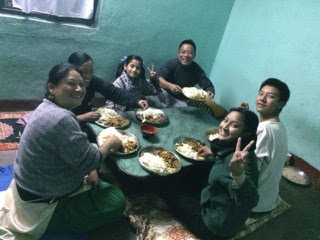 Several months ago I had a brainstorm about getting Dash lal's family a solar powered system to provide electricity. There is always so much load shedding, particularly in the winter, that often they have electricity only 4-6 hours out of 24 hours. It obviously makes it very difficult to prepare any meals or stay warm. 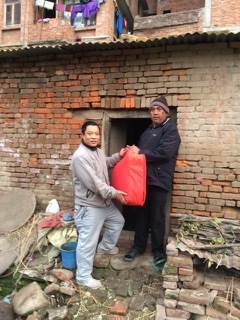 Many of you offered to help provide this system for his family, for which I and they are very grateful. Dash lal said they are the only family in the area that has this type of system. Some of the businesses have solar, but not any of the homes. I can't convey the delight I saw on their faces when we Skyped after it was installed and actually bright in their home. These pictures may help convey some of that. 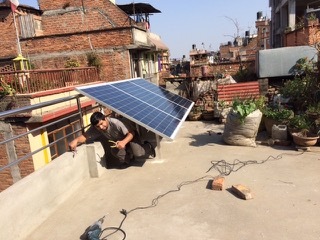 This is his rooftop as the panels were being installed. 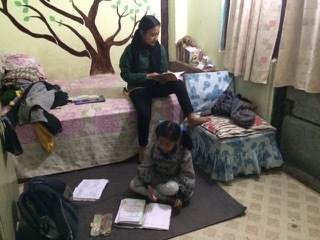 His children being able to do homework in their room with the new lights. The family enjoying a meal in the now well lit dining room. Seliska, Dash lal's daughter, sent me a sweet email which helps you understand the significance of your donations. 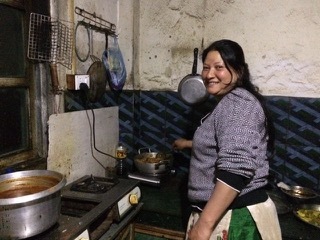 We are having a great time now as we have the facility of electricity all day long.We are ever so grateful to you.I had never thought that we would ever get rid of this electricity problem.You have made our lives even better. The final image I want to leave you with is this—when his neighbors saw the solar panels being delivered, they asked if he would put a light outside his house to light the street. There are no street lights and it is very dark at night in his neighborhood where the houses are all tightly packed in. So now there is a light shining outside his door, lighting up the neighborhood.